Bonjour a tous mes amies et enthousiastes de la photographie! Bienvenue a la Troisieme Edition du PhO-TAYgraphie Club Mêlée Générale! 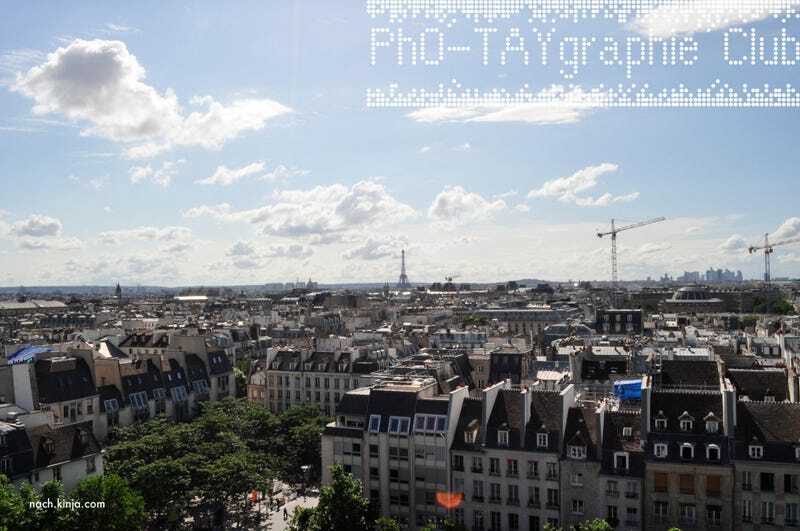 This edition of the Photo Club is inspired on one of my favourite cities ever, but there's a twist... the way I view the city of Paris, France ain't exactly how it's painted... I tend to get a unique and bizarre take on the city on this series that I call Paris Myope, I will also take this opportunity to explore what may have inspired Junichi Masuda of Game Freak Inc., to create the Kalos Region for the next Pokemon X/Y games, maybe some of the places present on this series will appear in the October 12th release! Exploring the insides of the metal beauty that looms over the city, I thought "well... why don't I climb it? maybe I can get a nice view of the region..."
Hehe! as I ascended people started to look like little ants... but maybe..." I thought to myself, "instead of contemplating the city from this position, why don't I try something different... pourquois pas, eh?" So I decided to rest a few hours to get going again, my adventure had to wait... or in your case it will continue in the next few weeks, my next voyage will take me to the tallest region in the city of Paris... until then Bonne Soirée et à bientôt! Amusez-Vous with some other adventures and ramblings in TAY Classic! Read about our foodie adventures in the new SnackTAYku International Edition, where the culinary battle of Zarnyx Vs Me is taking place right now! En garde! Do you need a break? Peut-être un cafe au lait et un croissant? Well, Battleborn will be hosting TAY Time Chat, today, with a revamped Super Shuffle!